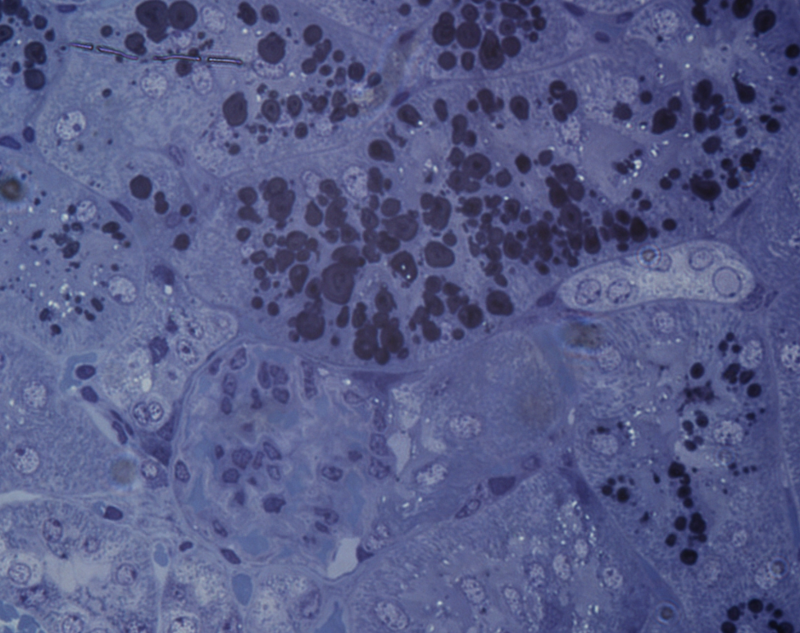 Renal necrosis in mice on a high fat diet? So I've been working on a research where we had a mice strain C57BL/6J fed on a high lipid died (western diet) And I've come across some strange findings which I wasn't able to find in other papers. I'm thinking it could be necrosis due to hyperlipidemia and the cytokine formations. 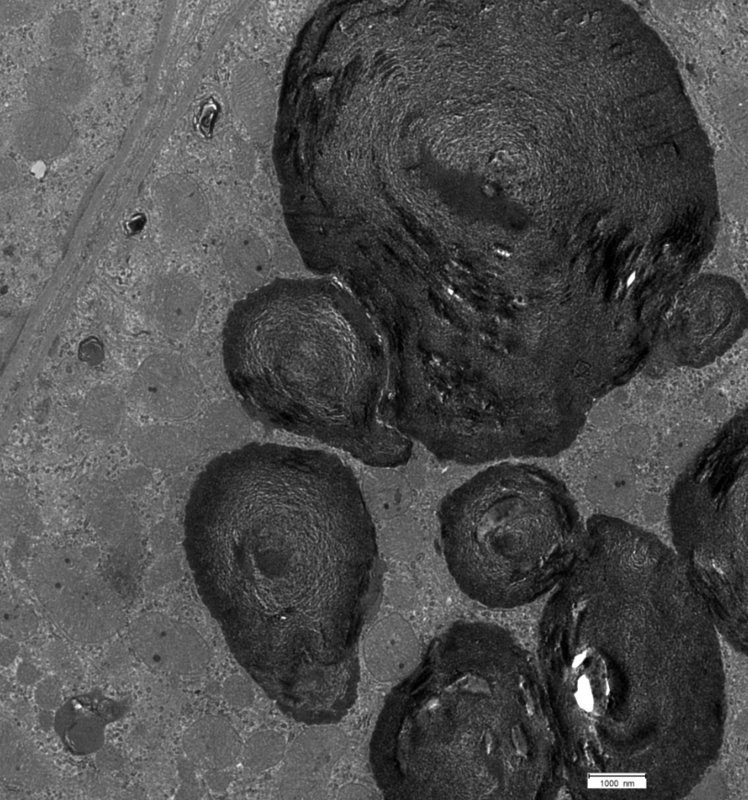 Picture 2: Here's how they look up close using TEM microscopy. If anyone could shed some light on what those could be, I'd be forever thankful. Edited by Nina00, 16 August 2018 - 07:57 AM. Stained with what in the first image? How was the sample processed? They look like lipid bodies in the cells to me, but I'm no pathologist. We used toluidine blue to stain it. We used a regular protocol to fixate it and then put it into an epoxy resin, from where it was cut.